The generation of realistic motions for articulated characters using physical simulation has been the focus of many research efforts. Numerous systems focus on creating real-time controllers that allow for believable motions of characters within games that often use reference trajectories that the character tries to replicate. In this paper we describe an off-line method that uses open-loop optimal-control schemes to generate bipedal walking motions for characters in 2D. 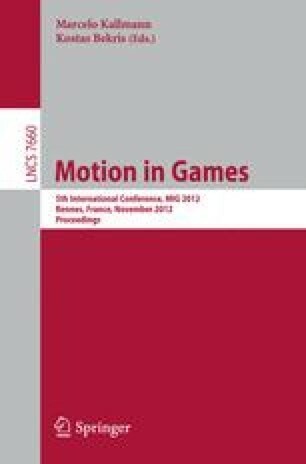 The resulting motions could then be used as reference trajectories for character controllers. This approach allows us to obtain different styles of motions by using different objective criteria without the use of any prerecorded data. We present the optimal control problem formulation and the direct multiple shooting method that efficiently solves this problem.